New lab technology has revolutionized the ability to become pregnant in the shortest amount of time possible. Precision IVF™ combines the most powerful laboratory technologies currently available to maximize the chances of a success with a single cycle of IVF treatment. Using a triad of new diagnostic tests, pregnancy rates with Precision IVF™ can reach 70% – 80% with a single embryo transfer. Our state of the art incubators capture images of your developing embryos every 5 minutes. With this information we are able to pinpoint the optimal time for laboratory interventions such as assisted hatching, trophectoderm biopsy of the embryo and freezing. PGS is a lab procedure which involves sampling a few cells from an embryo and analyzing those cells for chromosomal normalcy. Conformation of chromosomal integrity allows the selection of only the embryos with the highest chances of implantation. Chromosome errors are by far and away the number one reason why it’s more difficult to get pregnant as we age and more common to have miscarriages as we age. Simply Identifying and transferring which embryos are chromosomally normal boosts pregnancy rates to 60+% for a single embryo. Gender identity is also discovered during the PGS process. Embryos that have been determined to have a normal complement of chromosomes with PGS don’t always lead to implantation, and when this happens, our attention turns towards the health of the uterus. There is only a finite period of time in any one cycle during which an embryo can implant into the uterus and this is called the “window of implantation”. Testing the uterus with a receptivity assay can help to delineate what is the optimal time to transfer embryos into the uterus. 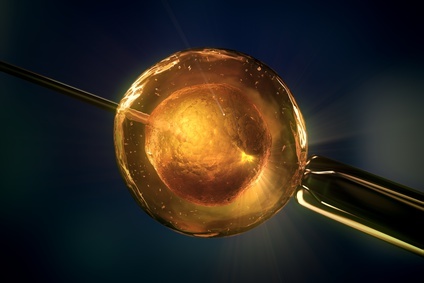 To learn about Precision IVF™, please contact us at 415 925-9404 or via our secure online contact request form.